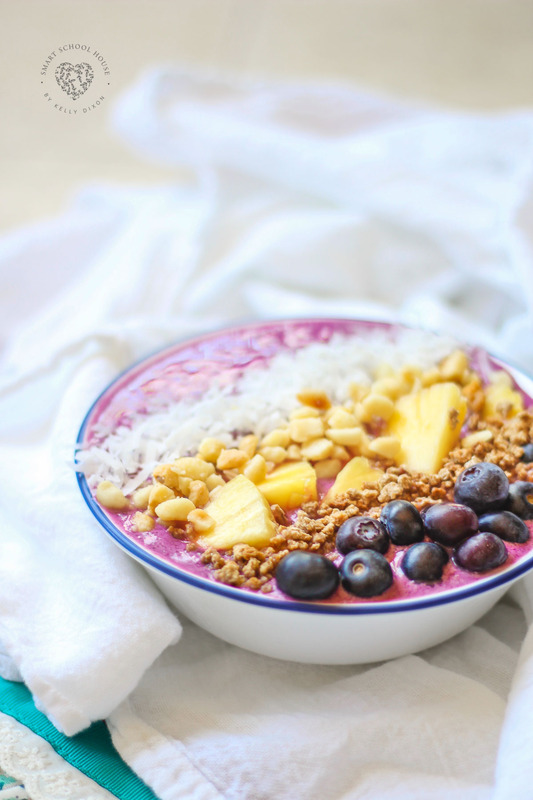 Tropical Smoothie Bowl with Organic Berries – Tastes just like something you’d be eating if you were on vacation in Hawaii! Filled with a creamy berry base then topped with crunchy and sweet flavors like pineapple and coconut. This smoothie bowl takes an ordinary smoothie to the next level. What is a smoothie bowl? If you’ve never heard of this delicious idea before, here’s why you need to try it! 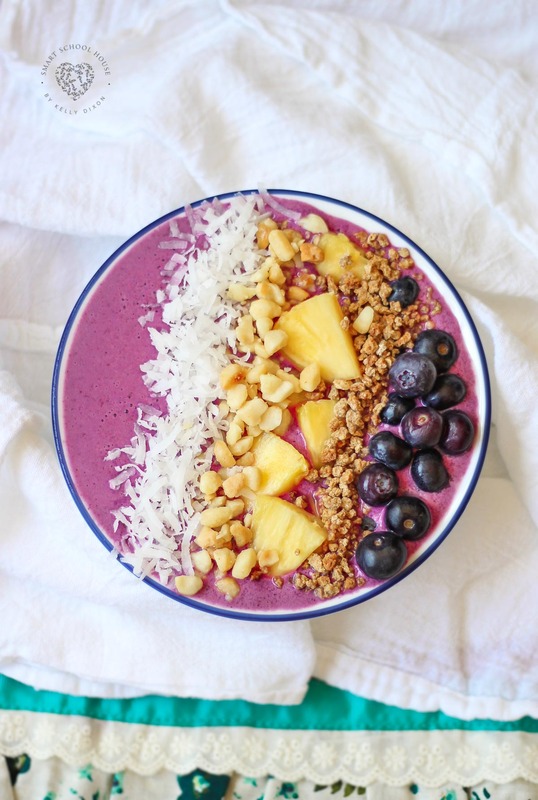 A Smoothie bowl is a thick blend of delicious frozen berries and fruit. It’s less like the smoothie you can drink because it has a thicker consistency. A smoothie bowl is then topped with good-for-you options like fresh fruit, granola, and even nuts. 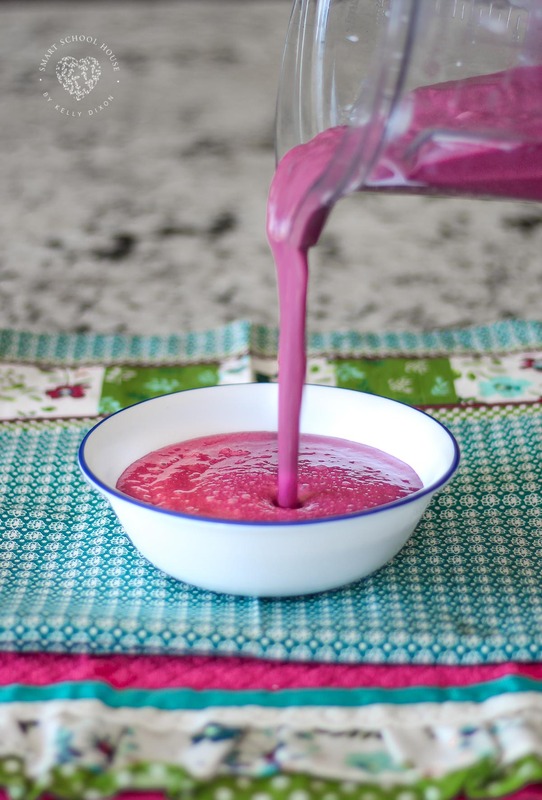 A smoothie bowl is eaten with a spoon and can be made into a meal. Sounds delicious, right? 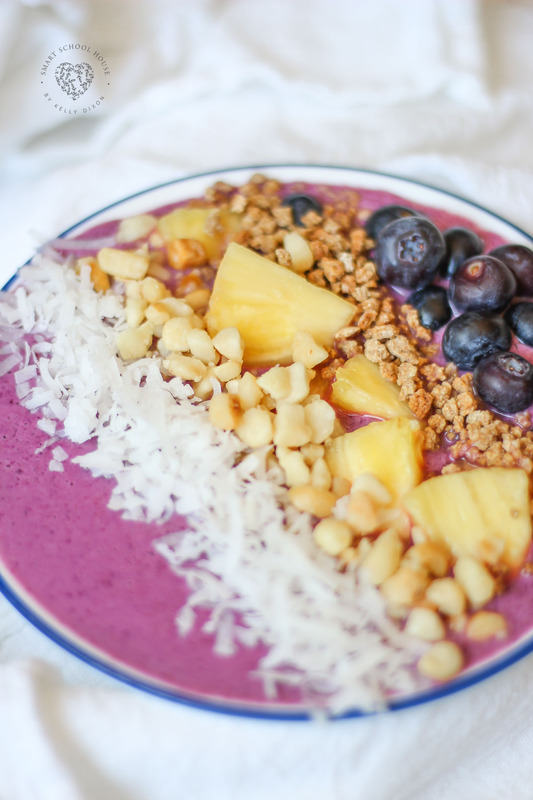 You’re going to love this tropical smoothie bowl with berries. 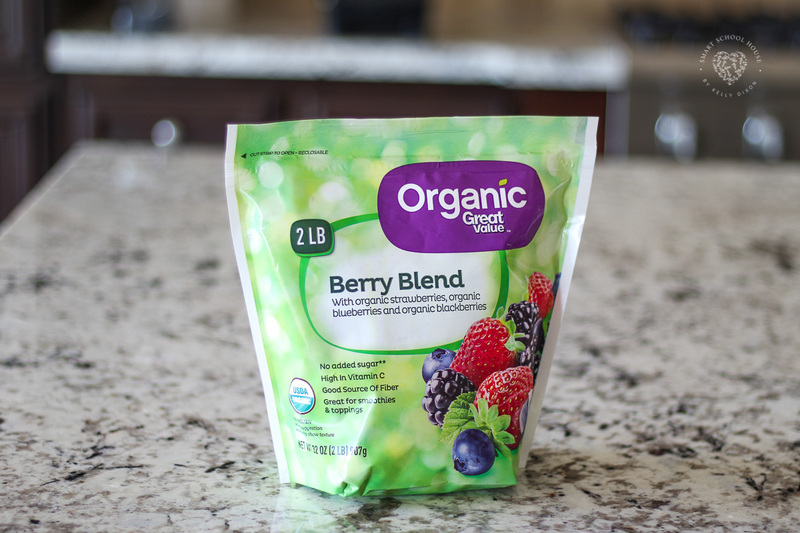 I used an organic frozen berry blend from Walmart’s Great Value Organic line. Did you know Walmart carries a wide selection of quality organic products? You can shop staples like milk, olive oil, spices and more all from their Great Value Organic line. These products are priced right so you don’t have to break the bank in order to feed your family healthy, organic food. 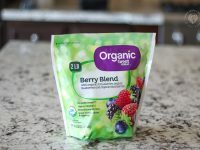 These organic frozen berries are the perfect staple to keep on hand in your freezer so you can make a smoothie bowl whenever the mood strikes! Tasty toppings to add texture, taste, and color! I’ve added fresh slices of coconut, chopped macadamia nuts, shredded coconut, as well as a crunchy whole grain cereal and blueberries. A smoothie bowl is enjoyed with a spoon, not a straw. So instead of gulping this delicious recipe down from a cup, you will be pouring it into a bowl and arranging your toppings in layers. I like to put my bowl in the freezer for a little while before making a smoothie bowl, especially on hot and sunny days or spring or summer days! 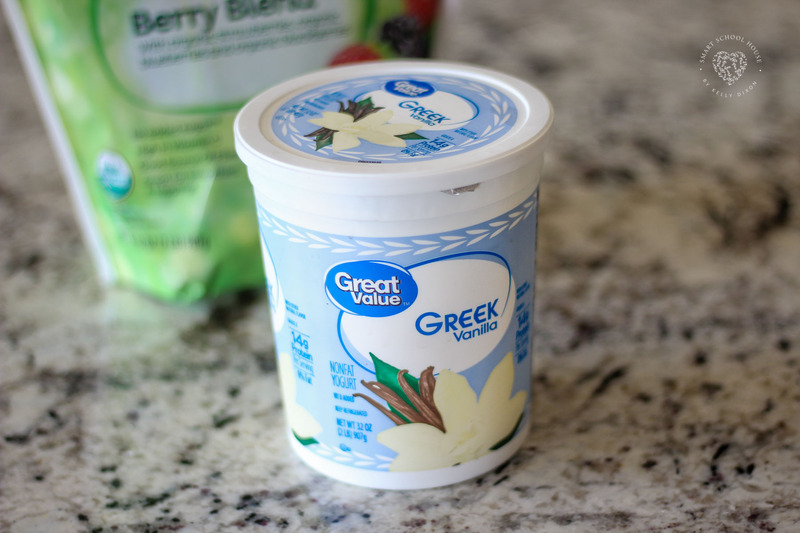 Check out all of the items from the Great Value Organic line exclusively at Walmart. Add the berries on top and blend on high until fully combined. Note: add more berries if an ever thicker consistency is desired. 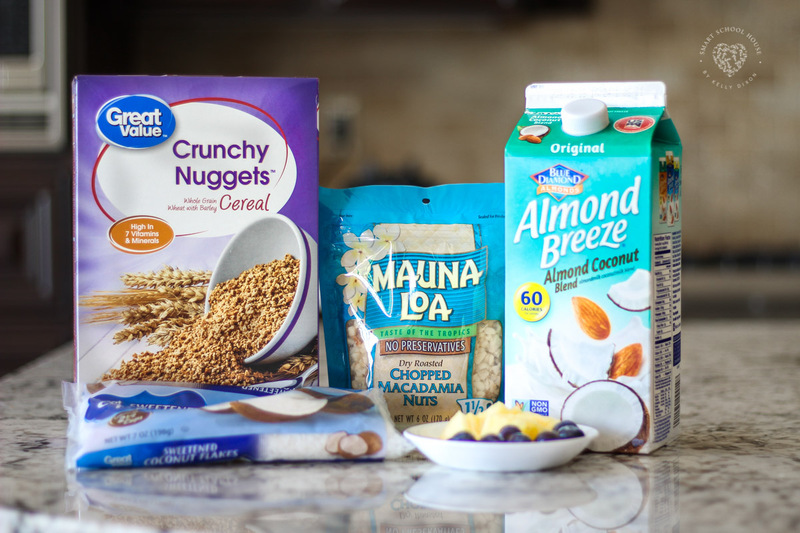 Add various toppings in layers: blueberries, whole grain cereal, sliced pineapple, chopped macadamia nuts, and shredded coconut. Smoothie bowls are fun to make and even more fun to eat! You can divide this recipe up into 2 bowls for a snack or dessert. Otherwise, this smoothie bowl will fill you up for breakfast or lunch. The topping options are endless! Enjoy! This recipe can be used to make two smaller smoothie bowls for snacks.